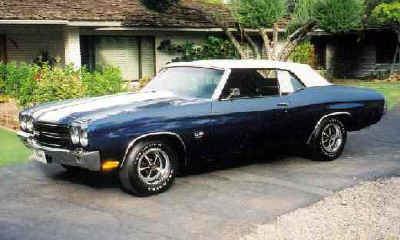 01-21-2006: 1970 LS6 Chevelle Sells For A Record $1,150,000! ARIZONA – Got an extra $Million burning a hole in your pocket? At the Barrett-Jackson Collector Car auto auction today, a 1970 LS6 Chevrolet Chevelle Convertible sold for $1,150,000. 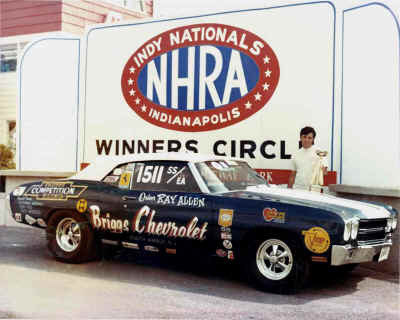 The Chevelle was a former NHRA Champion race car from 1970 and restored back to streetable condition. More on the cars history: A 454cid LS6 V8 automatic transmission with 61 miles showing on the odometer. This is the car that Ray Allen drove and won just about every conceivable race entered in 1970. This car won The US Nationals, The Super Nationals, The World Finals and most of the division races that were entered. This car has gone through a frame-off restoration that was mostly built and supervised by Ray Allen himself. This car is being sold with the original New Jersey title in Truppi & Kling's name and also comes with the original build sheet and various magazine and National Dragster articles about this World Champion Car and pictures at The Winners' Circle. This car is truly a legend in muscle car history.